Why Aspen? We often get asked that! Well the company name comes from the beautiful aspen tree, populus tremula; a deciduous broadleaf tree indigenous to Scotland. 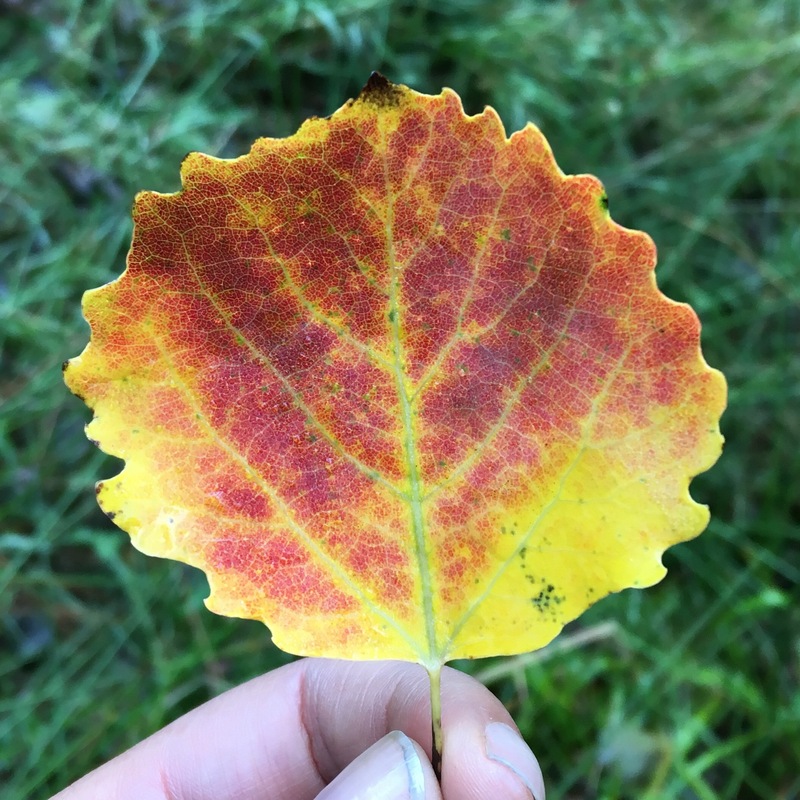 Aspen’s aren’t all that common and noticing one comes from a bit of study and taking time to look and listen for its distinctive trembling leaves. In a gentle breeze its leaves make a rattling sound as they flutter or tremble in the wind – hence the descriptive part of its latin name ‘tremula‘. The satisfaction that comes from noticing the trees, plants, animal tracks, geology and all the small details you come across when walking the outdoors is at the heart of the company’s values. Through our bushcraft courses, outdoor learning and our guided hikes we hope to share this with you. The Adventure Activities Licensing Regulations 2004 requires anyone who provides, in return for payment, adventure activities to young people under 18 years to have a licence and abide by its conditions. Aspen Outdoors Ltd is registered with The Adventure Activities Licensing Authority as a licensed provider of adventure activities because of the provision of trekking. Its provider reference number is: R2381. Our licence document can be seen by clicking on the link below. Aspen Outdoors Ltd is a Duke of Edinburgh’s Award Approved Activity Provider, licensed to provide the expedition section at bronze, silver and gold levels. Our licence document can be seen by clicking on the link below. Aspen Outdoors Ltd holds a Restricted PCV licence for a 17 seater minibus. The licence is issued by the Traffic Commissioner for Scotland and means Aspen Outdoors Ltd can operate a minibus for hire and reward. Instructors meet the continued professional development (CPD) requirements set out by the Mountain Training Association. To see Alastair’s Mountain Training Association profile click here. Aspen Outdoors Ltd is an approved provider of the Bronze, Silver and Gold National Navigation Award and the NNA Tutor Award. The National Navigation Award Scheme (NNAS) is a personal performance, non-competitive, incentive scheme for all ages to learn navigation skills and gain confidence to get out and enjoy the countryside. NNAS courses are delivered throughout the country by over 500 approved providers, including Aspen Outdoors Ltd. If you would like to undertake one of the Awards or establish it in your school, college or university as a qualification please get in touch. There are three main awards – the Bronze National Navigation Award, the Silver National Navigation Award and the Gold National Navigation Award. Progressing through the three awards will take you from being an absolute map and compass novice right through to be an expert navigator at Gold. The Bronze National Navigation Award is credit-leveled on the Scottish Credit and Qualifications Framework, at level 3. To read more about the Bronze, Silver and Gold Award NNAS visit their website. Aspen Outdoors Ltd holds insurance for the activities it provides. Its insurance policy is through HISCOX Insurance Company Limited. The insurance cover includes public and products liability insurance (up to £5 million), employers liability insurance (£10 million) and professional indemnity insurance (up to £5 million). If you would like to see a copy of our insurance documents please get in touch. Aspen Outdoors Ltd is committed to creating a safe environment for children and young people and adults. The company recognizes its moral and legal duty to protect children and young people and will take all reasonable steps to promote safe practice and to protect children from harm, abuse and exploitation. The company is a registered body with Disclosure Scotland and all employees, volunteers and free-lance instructors are vetted as part of its safe recruitment practice. A copy of the company’s child protection policy is available below.